comprehensive auto and general liability insurance. 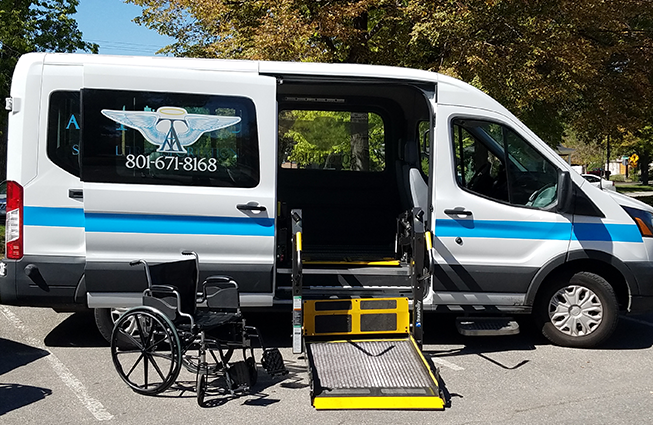 All of our wheelchair transport vehicles are ADA compliant and are specifically manufactured for transportation of people with special needs. Our vans our equipped to safely and securely transport passengers in wheelchairs, scooters, or with walkers. We have both lift, and ramp equipped vans, as well as vehicles that are capable of transporting multiple wheelchair passengers at one time. For our clientele who do not have the need for wheelchair transportation, we have several sedan style vehicles to transport you in style and comfort. 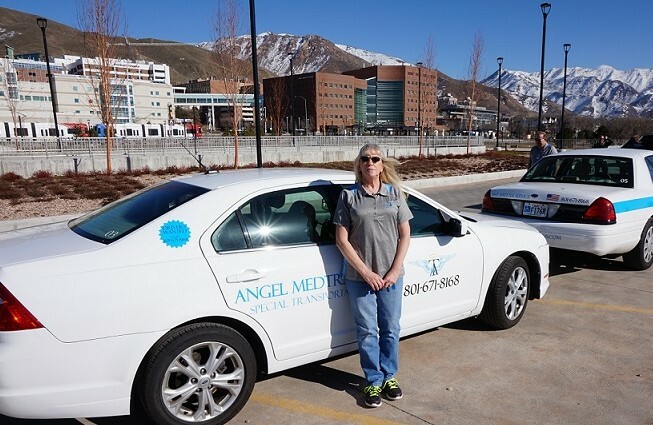 Our ambulatory transportation vehicles are also fully equipped with first aid equipment and are maintained to the highest standard. We are also equipped to transport passengers requiring stretcher transport. 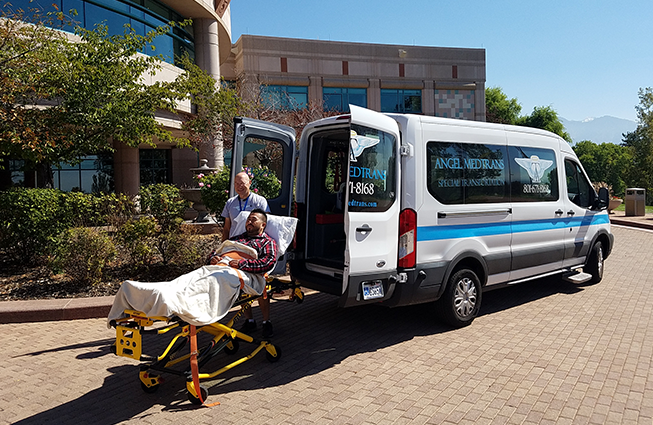 Our stretcher equipped vehicle has all the latest equipment and technology to transport you or your loved ones smoothly and comfortably between medical facilities for a fraction of the price of regular Ambulance EMT transport. 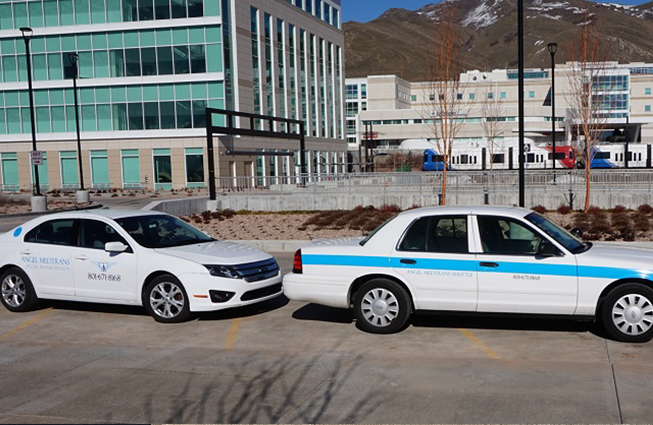 Our vehicles and drivers are all permitted and licensed to transport passengers to and from the airport and around Salt Lake City. If necessary, we will pick you and drop you off at the airport in areas designated for special transportation needs. You can count on us to pick you up on time and transport you safely to your destination.